Sharp horse players are always looking for value. Are you? It is tough enough to make money at the races, so betting underlays means you need to pick even more winners. The easiest way to find value is when the wagering consensus on the race, in your perspective, is incorrect. I find the best way to find value is by uncovering overbet, vulnerable favorites. -Maidens that finished 2nd and are now dropping a level. – 28 days of no activity. When a horse has not raced or worked out in over 28 days, I find this is a bad sign. Why wouldn’t you at least work your horse out if you can’t find a race for him to enter? At “A” tracks this is a very strong angle, “B and C” tracks the top trainers still get away with it and may even hide a few works from time to time. I still would not make a strong bet on them. -Dropping a horse after a good performance. Why drop when the horse is competitive at a higher level while posting strong numbers? Sure the top trainers will run the horse down the others’ throat and you need to be aware of that. The poor trainers are poor oftentimes because they don’t have the stock to win. However, if a drop down off a good performance is trained by a weak (low %) trainer, then the class drop surely means a sore animals. Small barns don’t have the luxury of “playing poker” like the big outfits, e.g. David Jacobson. This is strong when a horse was running well and is dropping. Also a horse that has had a good career and not worn them before, especially when the horse will be the favorite. When these “bet against” angles occur, really take the time to find something to take a shot on. You will get your value. Maybe you will not win, but will feel much better knowing by picking a winner you will be rewarded. A few ways to play the race would be box a few horses in an exacta or take a bunch in a rolling pick three. Consider even a bet in the win, place or show pool on your choice of the race. Go find your value, it’s out there. My occasional OTB location is a greyhound track that gradually built something of a customer base of horseplayers via simulcasting. I say occasional because for the last seven to eights years I have pretty much stuck to wagering from home or office with Advance Deposit Wagering (ADW). At first this OTB location offered a couple of lesser named tracks then expanded to four of the same. A couple of years after that, they got tired of listening to some of us experienced horseplayers complain about quality, so they started to simulcast most every horse track especially the top circuits. 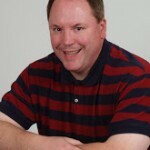 One Saturday, about ten years ago, I was sitting at my usual table when a couple of guys came to the table next to me carrying what appeared to be a U-Haul full of programs. There were nine thoroughbred tracks running that afternoon, a couple of harness tracks and about a dozen greyhound tracks. Plus live greyhound races as well. The thoroughbred programs at the OTB were copied past performances sheets from some unknown source stapled together with a cover. The information was not too good and it was very limited. The greyhound programs were of traditional form for that sport. Most of the experienced horseplayers at the time were using either their own Equibase information, the Daily Racing Form or Brisnet information. I quickly prayed for the poor souls sitting next to me. The youngest said, “We spent over a $100 on programs, but we got them all.” They went on to tell me that they were father-in-law and son-in-law. I was curious and asked who corrupted who when it came to wagering at the track. The father-in-law said, “My son-in-law got me involved in the track and I love it,” as he slapped his son-in-law on the shoulder with love, admiration and pride. I couldn’t help but think to myself… what a fool this guy was for letting his daughter marrying any idiot that tries to play every horse race and every dog race in an afternoon. You should have seen them-they looked like a pair of 3 year olds with Alzheimer’s attending a Barnum and Bailey Circus. They lost tickets. They lost programs. They looked at the wrong monitors. They bet the right horses at the wrong dog tracks. You name it and they did it. And all of the time they were talking about making money. I’m just glad I never heard the old question, “Who do you like?” I would have had a nervous breakdown trying to figure out who I could like at 19 different cities across North America. That story reminds me of the many times I have written about track and wagering behavior. There is nothing wrong with someone who goes to the track and bets a couple of bucks on every race (at just one or two tracks). Going to the track and playing races can be good recreation and good therapy. But on the days where making money is important, which should be almost every time you play (if not every time), then trying to do too much will kill you. 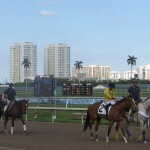 On my typical day I review the entries and find the tracks that offer several of the type of races I play. Some days I may download information from only two tracks. Other days I may download information from five or six. Regardless of the number of tracks you try to play, the important thing is to only play races that are comfortable to play, or at least only examine races with which you are comfortable. One of the things I do, which I recommend to anyone especially if you are going to examine more than a few races, is to use a docket. I chose that word because it is a list of those “cases” that must be examined. It is the word used in our judicial system for what comes before the court on a certain day. I make my docket in chronological order based upon post times. Next to the time I place the track code and race number and a brief note as to the importance, such as “stakes race” or “short field” or “Daily Double possibility.” Any note that may encourage me or discourage me from examining a race based upon time or other impediments. When I first review the docket I eliminate races if I see a time conflict, such as two races going off a few minutes from one another with one appearing less inviting than the other. When I make my final review I make sure that every race on the docket is a possible race to play. I also make it final in my mind that all of the racing I will consider is within the time frame on the docket. In other words, that’s it. It’s final. This is the job for the day. The docket is also used for other things such as making trip notes or trainer notes. I go over the docket at the end of the day and, if something needs to be logged into a file, I have it right there. All of this may sound elementary and it is. But it works. 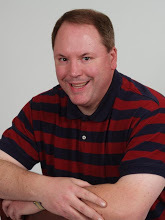 A successful horseplayer must have a plan and must keep information for future use. Most of all I have found that using my little docket keeps me focused on the task. For several years my OTB location was a greyhound track. This was not the best atmosphere for a horse player, sitting among a large number of those that play greyhound races. They think differently than horse players, handicap differently than horseplayers and, to a great extent, wager differently than horse players. The pari-mutuel system is the same for both greyhound and thoroughbred racing, obviously, but the popularity of wagers differs. At greyhound tracks the quinella is the favorite bet and it seems like most greyhound tracks have a special tote board just for quinella odds. 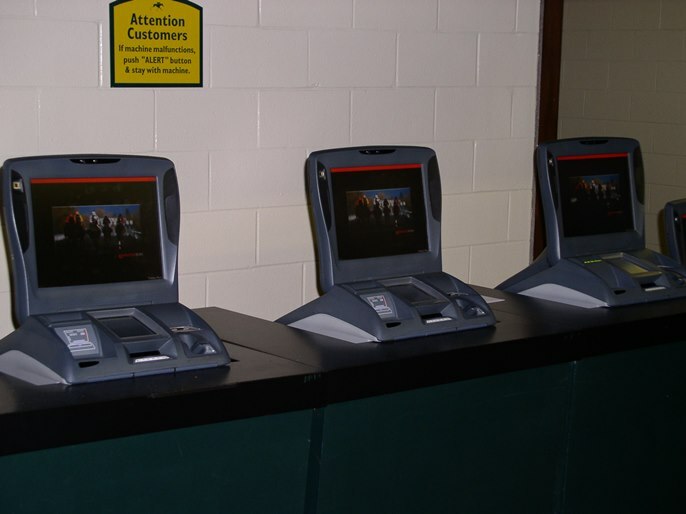 Exactas, trifectas and superfectas are popular at greyhound tracks also but there is little interest in horizontal wagers such as a pick 3, pick 4 or pick 6, which are popular at thoroughbred tracks. Straight bets, such as win place or show, do not seem to appeal to those that play the greyhound races. While I was using the greyhound location as my OTB home, I made several friends that played the other quadrupeds faithfully. Most of those tried to take an interest in horse racing since it was available. One of the attractions was the occasional big payout at the horse tracks in the vertical wagers, e.g. trifecta. Obviously one of the biggest factors for larger payouts is the size of the pools. At many greyhound tracks a big trifecta pool may be $8,000; trifecta pools at a thoroughbred track are often 10-20 times that amount, depending on the track. At almost all greyhound tracks fields are limited to 8 runners, and larger fields in a horse race can help trigger a larger payout especially when the longshots come home. The vertical wagers are often astronomical compared to those at a greyhound track. One of the things that I could never get the greyhound enthusiast to grasp was the importance of betting to win or to win and place. It is deeply rooted with greyhound players to only play exotics wagers. Often I was asked for my favorite horse in a race. After telling my friend who I liked, he would go and throw my choice in an exacta box or trifecta box with a couple of other runners, only to tear the ticket up when his other horses didn’t run. I would often ask, “What happened? My horse won the race.” And then I would hear “Well I didn’t have the others,” or something like that. “Why didn’t you just bet the horse win,” I would ask only to receive crazy looks. I would hear “You can’t make any money,” or “That’s no fun,” or something else senseless. All of this is one reason why I say, to anyone that is learning to play the horses or wants to learn, when it comes to wagering learn how to bet to win or bet to win and place first. It’s hard enough to pick winners so why make it more difficult on trying to figure out who will be there for second and third, etc.? Besides, if you are going to play any wager at a track you must first have some idea who can win the race, right? The first advice I give anyone who is new to the game is this: Do not try and get rich in one day. The worst thing that can happen to a “debut” horseplayer is to hit a trifecta or superfecta and go home with $800 in their pocket. That person will be so entrenched on betting the bigger vertical exotics again they will probably send out $2,000 in the next few visits trying to score big again. Making money at the track is like eating an elephant. You got to take one bite at a time and not try to eat the whole thing. Now is the time of year to pay attention to maidens, particularly what we all call the First Time Starter (FTS). It doesn’t mean you bet on them, necessarily. It is a great time to observe them especially when they become Second Time Starters (STS). The majority of unraced horses are no longer two years old. Those two year olds remind me of human teenagers; young, stupid and unpredictable. The bottom line is that more unraced horses now have enough maturity to start racing and a poor performance is not totally attributable to youth. The overwhelming majority of those in the FTS category fall into the STS category because only a limited number of horses can win, obviously. But those that move into the STS category often have excuses due to a bad trip in their first race. If you in any way depend upon trip handicapping or believe that horses can have excuses, then these races are the ones where you have pad and pencil ready. For the next few months there will be tons of maiden races that will yield great trip information that is invaluable. A long time ago a coach told my football team not to underestimate our opponent in the second week of the season. “Most improvement in competitors comes between their first and second games,” he said. I believe it is true in horse racing, or at least the opportunity for the most improvement is between the first and second races of a runner’s career. If you accept the premise that the second race may demonstrate the best improvement and a horse had a rough trip in his/her first race, then you are well on your way to cashing a ticket. Maybe. After you made the trip notes and you feel sure that a horse is going to improve then you must look in the other notes to find the icing for the cake. The other notes tell you if the trainer is good with those we call STS, and if they are, what is their normal plan of attack? Last week I decided to rummage through all of my Keeneland files looking for those trainers good with the STS. The following very recognizable and successful names have enjoyed multiple winners with STS at Keeneland over the last few years: Rusty Arnold, Wayne Catalano, Al Stall, Jr., Eddie Kenneally, Ken McPeek, Graham Motion, Todd Pletcher, Dale Romans, Tom Proctor and Mike Stidham. I would be proud to have any of these guys train for me. But most important is understanding how these guys do it. What are the patterns to their winning second time starters? All but two wins from all of these trainers with STS at Keeneland came after the horse was off for at least 25 days. Many of these did not run after their debut effort for at least 35-40 days. In other words, they did not rush their horses back to the track. I couldn’t help but jump in to my Woodbine file to check out the trainer, who in my opinion, is the best STS trainer in the business-Reade Baker. I noticed the same patience is exercised by Baker. While each horse may be different, the best trainers regardless of their record with FTS, must obviously take the time to analyze, plan and determine the very best course of action with great patience for STS. An awful lot can be learned from a horse in its first race even if the trip is a clean one. Now let’s put it all together. A FTS has a difficult trip and you have it noted, waiting for a possible play when he/she comes back. You know it is worth the note because the trainer has a good record with STS. Also, the trainer does not rush his horses. When the day comes you make sure it all adds up. And if it does, well then you have the makings of a good spot play. And when you cash a ticket after all of this, you realize that the practice of handicapping can be worthwhile…and is a skill-based game. Now is the time of year that will test your patience as a horse player. 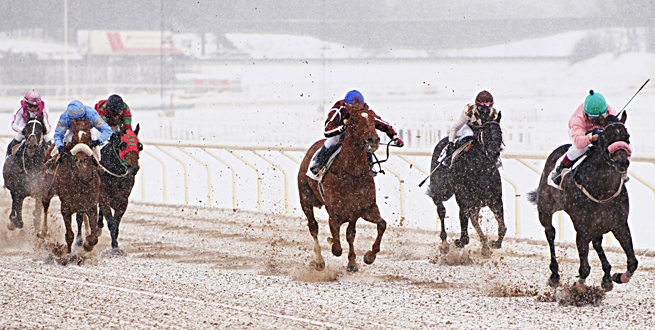 It’s winter and the next few months are not the best for thoroughbred racing. For those of you that enjoy turf racing, the choices are pretty much limited to Southern California, New Orleans and Florida. For those of you that require a dry track (me included) those days will be less due to the frequent wintry mix that we see on the east coast. The number of stakes races, especially graded events, is less and that makes for fewer days to look forward to for many players. And of course, we have mountains of maiden races for two year olds, which I detest, and that will carry over for a couple of months when those runners turn three in January. I always say that a three year old maiden in January or February is an extended two year old maiden. Yes, the choices for thoroughbred racing are limited for a while because of many factors. It is truly a time to be patient. Simulcasting has provided us with a luxury for about nine months of the year where you can throw out one track because you don’t like the card and pick several others that are more appealing. That’s not the case in the winter and besides, you still are faced with tons of baby races. So what do you do? My first suggestion is to require yourself to play only certain types of races where you have historically experienced the most success and the highest comfort level. This is the same advice I give to anyone in summer, except I think it is even more important in the winter months. In the winter, you will have a lower number of races to play that fit your comfort level and it will really test your patience because you will not have as much available action. What if the day looks bad everywhere in terms of races? Don’t go. Don’t play. Instead you should use that valuable time to study, learn more about the game, etc. Information on Thoroughbred racing is so widespread now that anyone can access just about anything to read on the subject. If you are like me there are several editions of the Blood Horse (or other publications) sitting around that I did not fully read. I don’t care if a magazine has aged several months, I read it because I know I can still learn something new about this game every day if I try. The moral of the story is to use any down time from the track to make your next visit a more successful one. I know many of you need the action all of the time but failing to take time to learn more about racing is a costly error. It takes study and patience to win at this game. And that’s because it is not a game of luck, it is a game of skill. In a couple of weeks most horse players taking in the Keeneland meeting will think of August 17, 2013 when they hear the name Ramsey. That was the day that thoroughbred owners and breeders Ken and Sarah Ramsey stood high above the world of thoroughbred racing. It was the day they won three Grade 1 races in about one hour. 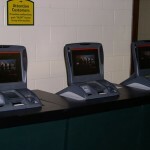 They did this at two of the top venues in racing, Arlington Park and Saratoga Race Course. The Ramseys won the Secretariat Stakes and the Arlington Million in Chicago and the Sword Dancer at Saratoga. 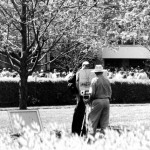 Many people were eye witnesses to the feat at those tracks, from all the simulcast parlors and OTB locations in the country and all of those that play the game at home with ADW. But there were more eyes watching as millions of television viewers saw the incredible feat without changing the channel. 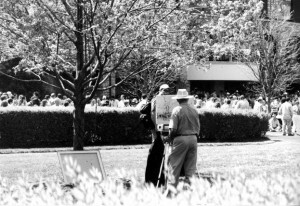 As we move into the Keeneland meeting many will think of the Ramseys as only “big race” people. That, of course, is not true. Anyone waiting for the Ramseys to make an appearance only in the big Keeneland stakes races will miss a ton of action. At the 2013 spring Keeneland meeting, the Ramseys smashed an old record for wins by an owner. And one of the trainers they use (several trainers have the privilege of training for the Kentucky couple) broke the win record for trainers primarily with Ramsey horses. The trainer is Mike Maker. In the last seven (7) Keeneland meetings Mike Maker leads all trainers with 62 wins. The closest thing to Maker is Ken McPeek with 56 wins and Wesley Ward with 53 wins. The special note on Ward is that 15 of his wins came with debut two year old runners. Ward does some training for the Ramseys and even though he is king of the first time baby starters, Ward has only one (1) victory for the Ramseys in this category. The majority of Ward’s wins for the Ramseys came with horses that shipped in from Florida for the spring meetings. To show Maker’s strength at Keeneland just look at the mere mortals on the list and the number of victories they have since the beginning of the Spring meeting in 2010. The Maker/Ramsey runners that win at Keeneland did not win the race at Saratoga from which they were claimed. Other training notes related to the Ramseys. Chad Brown, who trained the Ramsey’s Arlington Million and Sword Dancer winners has 14 wins at Keeneland in the same period and two (2) of those have been with Ramsey horses. Wayne Catalano has been to the winner’s circle with 5 Ramsey horses in the same time frame. But the real man for the Ramseys at Keeneland is Mike Maker. Of Maker’s 62 wins in the time period 32 were Ramsey owned runners, a little more than half. Overall, about 70% of Ramsey winners at Keeneland in the last seven meetings were trained by Mike Maker. Let’s face it. The Ramsey stable is a big, big name in the business and they do more than just own horses. They are a force in the breeding business. So when one trainer can claim so much of their action at two of the most prestigious race meetings in North America, it signals a great vote of confidence. When examining Maker wins for the Ramseys at the fall meet, one will notice several horses that won at Keeneland were winners first time after being claimed at Saratoga. The pattern line reads: L-1, C-1, which is first time layoff, first time claim. The timing for such makes perfect sense. The Ramseys claim a horse at Saratoga and it gets a rest of at least 45 days and the benefit of Maker’s training, then they show up at Keeneland and whip the competition. 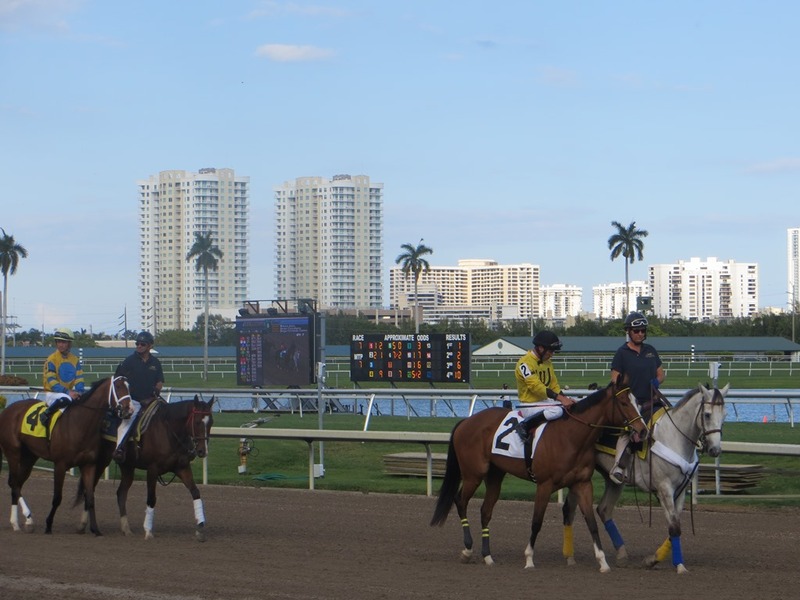 When examining a look at the spring meetings, one will see the same thing for Maker/Ramsey horses except they were coming from either the Fairgrounds or Gulfstream. But the most unlikely thing almost always appeared in the pattern line and that was the words class drop. 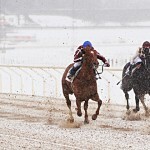 Most experienced horseplayers I know get a cold chill when they see a horse coming off a claim and dropping in class. It is normally a bad sign. But what the Maker/Ramsey combo have done is to claim horses at Saratoga and give them a very subtle drop in class; such as a claim for $20,000 and then run them at Keeneland for $16,000, or, claim for $25,000 and run for $20,000. Keeneland’s purses are good and if you have plenty of reasons to believe that you made a good buy, then you can take a drop, collect good purse money with a win and come out fairly good even if someone claims the horse. With Keeneland’s purses a second place finish can often make up the difference between the claiming prices if you lose the horse at the box. The key to remember is that the Maker/Ramsey machine play this game very well. It is advisable to pay particular attention if they get a horse that can fit into a lower price starter allowance race. So, where does that leave us today with the upcoming Keeneland fall meeting? It is hard to tell how many horses Maker will train for the Ramseys. Maker has recorded a majority of his wins in the spring meetings at Keeneland. But there is another clue regarding this successful combo and I believe it sends a signal of what we may see at Keeneland in October, and we have already seen at Churchill Downs. At Saratoga this summer the Ramseys claimed 32 horses. It turned out that the claim box sold 261 horses during the Saratoga meeting and the Ramseys were the biggest buyer and accounted for 12.2% of the claims. On all of the claims Mike Maker was listed as the trainer. Every single one. Of course the Ramseys could dump some runners off with other trainers at other locations but it is hard to imagine that they were not loading the guns for Keeneland, and even the new Fall meeting at Churchill Downs. In fact, the combo has already struck with a first time claim from Saratoga at the new September meeting in Louisville. On September 6, 2013, the first day of the new fall meeting in Louisville, the combo sent out Wild Target in a $30,000 claiming race. The horse was claimed from Eddie Kenneally at Saratoga for $35,000. Wild Target easily whipped the field even after breaking slow. The winner’s share of the race paid $15, 420. The horse was not claimed, but if it had been, the Ramseys would still make a profit. Of the 32 horses claimed 22 are male and 10 are female. Of the males 16 are geldings, which mean they were claimed to run and make money as soon as possible since they have no breeding value. Only three (3) horses were claimed for $50,000 or more. Eight (8) were claimed for $35,000, nine (9) were claimed for $25,000, and twelve (12) were claimed for $20,000. The higher priced horses may wind up in allowance or low level stakes competition, and if they are Kentucky breds they can actually be eligible for their share of additional purse money (usually from $7,000-$8,000 from the Kentucky Thoroughbred Development Fund. Six (6) horses that were claimed won the race from which they were claimed. Fourteen (14) finished in the money in the race from which they were claimed. The Maker/Ramsey combo raided some good trainers with multiple claims in a short period of time, such as: Linda Rice (3 claims in 4 days), Rusty Arnold (2 claims in 4 days), Steve Asmussen (2 claims in 2 days) and Jason Servis (2 claims in 4 days). In the past Maker has taken Ramsey’s Saratoga claims and usually worked them at Churchill’s training track which is listed as Cdt before they run at Keeneland. Also, in the past no Maker/Ramsey runner claimed at Saratoga has won at Saratoga and then won at first asking at Keeneland. The Maker/Ramsey runners that win at Keeneland did not win the race at Saratoga from which they were claimed. Be sure you look for the names of Maker and Ramsey at the Keeneland meeting. Don’t just think you only see them on TV with big named expensive horses. They are right there with the claimers like everybody else. And, they are very good at the game. 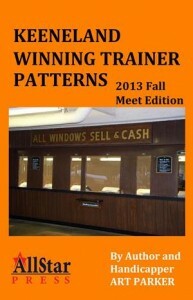 Editor’s Note: The 2013 fall meet edition of Keeneland Winning Trainer Patterns is due out soon. 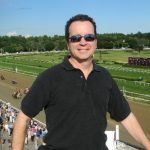 Ross Gallo continues offering his wisdom from 30 years of handicapping with the remaining five steps from his article last week. Don’t be afraid to use the “All” button on occasion. Handicappers are a proud lot. I know guys who will never press “All”. “There’s always throwouts.” Or, “The 5, 7 and 8 can’t win here.” I get it, really. You know what you’re doing, you can weed out the race and it’s a waste of money. Well, I contend that horses win every day that you couldn’t have had with tomorrow’s paper. And I certainly don’t think you should always use it, but sometimes there are races so hard they can’t be handicapped. And the extra cost will repay you in the long run with just a couple of those “impossible” wrinkles. An example: 2007 the first year the Breeders Cup went to two days, I was at Canterbury Park preparing to play in my handicapping tournament (yes I had a real-money high end BC tournament, LONG before the BCBC. But that’s a story for another day), a few buddies and I decided to pitch in and play the late Pick 4. I took everyone’s opinion and started writing up the play. We agreed on two things, the first leg was impossible and we liked Corinthian in the last leg, the Dirt Mile. I felt I was done when I noticed we had left four horses out of the first leg. I wrote one last ticket, those four with our top three horses in both of the next two legs and Corinthian in the last. $36 out of a total $600 play, only 6% of the play. Impossible horse wins first leg, $60 or $80 to win I think. Top 3 win next two, and Corinthian jogs. The payoff: $24,000. We’re high fiving and celebrating, another friend comes up to me, ‘How on earth did you guys come up with that first horse? !” “All” button baby! Can’t cash a Pick 4 if you’re not alive.” With 50 cent Pick 3, 4 and 5’s, 10 cents supers and Pick 6’s out there, the cost of this practice, on occasion, is not as severe as one might think. And I would point out, in a 10 cents super, you might only need one of those 80-1 shots to run third or fourth to make you a big score. ALWAYS bet against Bridge Jumpers. Bridge Jumpers, for those of you who might not know, are people who see what looks like a sure thing horse and bet huge amounts to show in order to grab that quick 5% return. 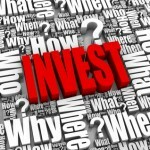 $100,000 to show will earn you a $5,000 profit. This will often work, but as everyone knows there is no such thing as a sure thing. Play everyone else to show every time in this scenario. The risk is minimal. In a six horse race, for example, a $5 show bet on everyone else in the race (besides the favorite) will cost $25 and you’re guaranteed $10.50 back. In an extreme situation, if one of those horses miss, you could average $75 a show ticket. That would get you a return of $562.50. The payoffs aren’t always that big, but the upside far outweighs the risk. These horses run out on occasion, and in the long run you can’t lose playing against them. Bet $2, $5, $10, $20, or even $100. Whatever your bankroll allows, whenever you see a horse with 95% of the Show pool or more, NEVER pass on any of these opportunities. Try to find a rebate program. There are so many of them out there these days. Most of the online services, and even some tracks offer cash back. Ask your friends what they’re doing, but definitely look around. The more you bet, the more they’ll give you, but even a percentage point back can have a positive effect on your bottom line come year’s end. Keep a playback/play against list. DRF and Brisnet.com both offer Stable Mail for free. Easy to use, for sure, and invaluable. You see a horse get stopped several times, come late for a sneaky fifth, you have to bet him back. With horses changing tracks it’s easy to miss him if you don’t have an email notification service. Conversely, I find keeping horses to play against next out just as valuable. Odds-on favorite gets perfect trip and is all out to beat a 30-1 shot and looks terrible doing it. Form will look good with the win, but that’s a horse that will get bet next out that I want to eliminate. Betting against low priced horses that you’re fairly sure are throwouts? It doesn’t get much better than that. Write down your bets before you go to the window. This sounds simple right? It is, but I’d love to have a dollar for every time I’ve heard something like this: “Hey what do you like this race?” “I love the 6 with 1, 2, 3.” I watch the race, it runs 621, I see my friend. “What did you get there?” “I don’t know he says as he rifles through the tickets.” “Oh no man I forgot to get the $20 exactas 6 over 1-2-3, I only have a stinking $1 tri.” Exacta paid $60 but the favorite ran third and the trifecta was $150 for a dollar. My friend just burned $600 because he’s up there calling numbers out and has no clue what he has or hasn’t got. I always write my bets down before I go to the window or sit down to bet at the computer. This way I know I’ll get what I want, and if the total comes out different than what I figured, I know I forgot something or messed up a part wheel ticket. This is a very simple tip that will save you from yourself. 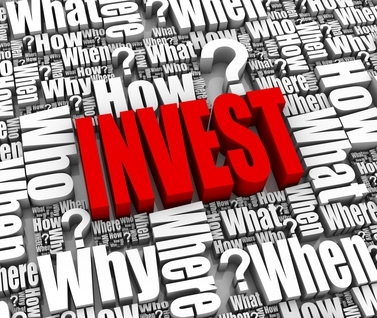 The game is hard enough as it is, you don’t want to leave money behind with human error. There you have it. A few things that have worked out well for me over the years; hope they do the same for you. Happy hunting (winners) my friends!